It’s a good DNA day for Native American DNA research. Yesterday, I was talking to Bennett Greenspan at Family Tree DNA. He knows of my interest in Native heritage. Our conversation turned to the new Geno 2.0 chip, now called the GenoChip, and the expected ethnicity results relative to Native heritage. It turns out that Bennett and Spencer Wells had just been talking about the same thing. Spencer said that the GenoChip is exceptionally good at picking up Native American ancestry and that it’s one of the key features built into the autosomal SNPs they chose and the resulting admixture analyses. Spencer says that as long as the admixture is above 2%, we’ll see it. Two percent equates to between 5 and 6 generations. I can’t wait to compare Geno 2.0 results of people who previously tested at 23andMe and with Family Tree DNA’s Family Finder, and especially those who showed the Middle Eastern percentage with the Family Finder test. This information dovetails nicely with a new paper to be published in the American Journal of Human Genetics, the February 10th edition. In this new paper, Dr. Theodore Schurr has used Y and mitochondrial DNA evidence collected from 500 Siberian people living in remote villages and more than 2500 Native Americans from Canada, the US and Mexico. 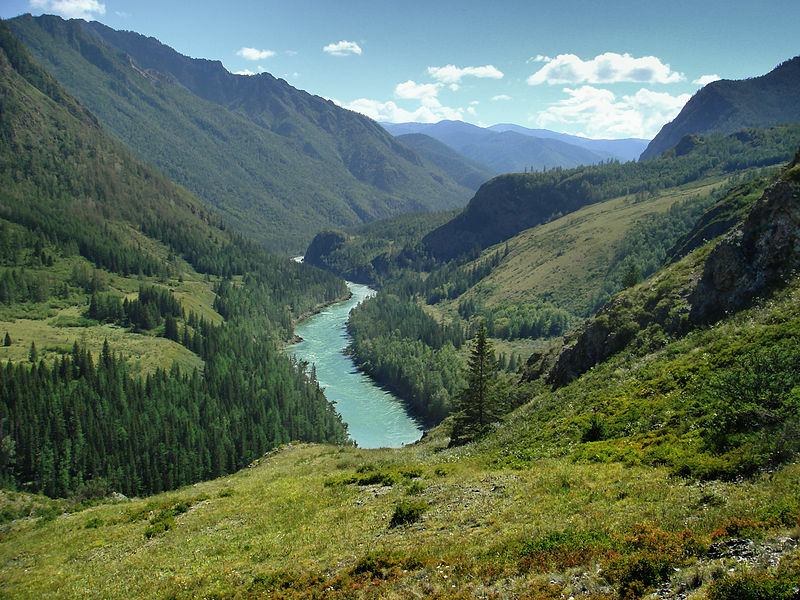 The paper confirms the homeland of the Native people in the Americans was originally the Altay Mountains in Siberia (photo above). This isn’t new news, but it’s nice to have confirmation and it will be interesting to see the details in the paper. In an article published this week by the National Geographic Society titled “Is this Russian Landscape the Birthplace of Native Americans?”, they mention that there is one marker in a male Y-line that mutated about 18,000 years ago and is still carried by Native men today. I know that many recently discovered Y-line SNPs were included for haplogroup Q on the new GenoChip. I’m very hopeful that the DNA of the Siberian people was vetted for new autosomal SNPs and included as well. It’s likely, as Dr. Schurr, in addition to his work at the University of Pennsylvania is also the North American Director for the Genographic Project. This entry was posted in Anthropology, DNA. Bookmark the permalink. So should we all retest now? Hold tight until we see some results first. Where is this GenoChip test available? It is good to now see the Melungeons showing positive for Portugesse and Native americans and showing very little African dna. Good work Spencer.